Arona is a Drupal theme for any business or portfolio website. 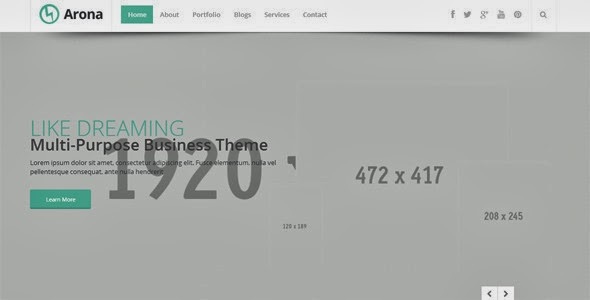 The HTML template is the work from Met_Creative. The theme is fully packed with functionality (provided by the modules attached in the package), and only takes less than 20 minutes to get the site up and running. Item Reviewed: Arona - Responsive Business Drupal Theme 9 out of 10 based on 10 ratings. 9 user reviews.